Bright, robust and affordable. These Filapockets have been specifically designed to provide efficient and durable filing for a wide variety of documents, records, class work, magazines and books (pocket 220mm wide 50mm deep). Constructed from heavy duty polypropylene filapockets are robust, easily wiped clean and can be quickly hung anywhere that is convenient. 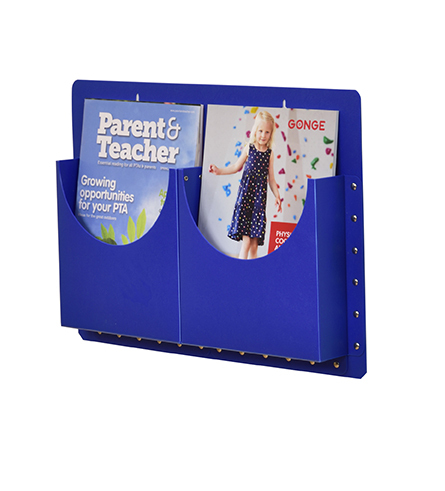 The 2 pocket A4 Filapocket is ideal for lower volume storage or where wall space is limited. H320 x W500 x D50mm.